We have been really pleased with the painting done by Rob. He is such a hard worker, working very long days to get the office painted over the weekend ready for Monday morning when the team arrived. We would certainly recommend Rob. Rob recently redecorated my living room and hallway and did a first class job. He was brilliant to deal with from our initial contact always responding promptly and helpfully. He worked long days to ensure the job caused as little disruption as possible. He arrived each day at the time he said he would and kept me updated fully as to progress. I would recommend him without hesitation and will undoubtedly use his services again in the future. "Rob has previously decorated our hallway and has just recently refurbished our wooden kitchen worktops. He is clean, tidy and professional in his approach and I'd have no hesitation in recommending him." "Rob has just redecorated our offices in Evesham over the weekend. He wanted to ensure that the Areca Design team wasn't disturbed during the working week, and has done a fabulous job throughout, leaving the office clean and tidy - despite several areas that required sanding and preparing. I would highly recommend him." "Rob recently decorated our kitchen and laundry in a professional manner and to a very high standard. From his first contact, to advise on the work required and the products to use, to his completion of the job we were completely satisfied. We shall certainly be calling him again next year as and when further jobs are due to be undertaken." "I have used Rob Shaw at RS Decorating on several occasions. Each time I have found him to be very reliable and helpful in planning projects to be done. His work is always well prepared and carefully finished and everywhere is left clean & tidy. I have no hesitation in using him again or recommending him to others." 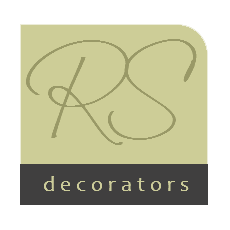 "RS Decorators has carried out work in both the guest and private areas of our Guest House since we moved in during October 2013. Rob is both extremely reliable and punctual and his work is to an extremely high standard. More work has been scheduled for early 2015 and we had no hesitation in asking Rob to quote (again, very competitively) once more. Will not look elsewhere for all our decorating needs while we remain in Stratford-upon-Avon." "RS Decorators assisted with interior and exterior decorating works to a previously neglected farm house acquired by my client as an investment property in spring 2013. The project comprised the repair of internal plaster work and external render, before redecorating to present the property in good order prior to letting. As part of the instruction process, Rob met with me on site to discuss and agree the scope of work and thereafter, provided an itemised specification and quotation which proved both well considered and competitive and accordingly, instructions were issued. Throughout the project Rob provided regular feedback on progress, identified any areas of concern that would result in change to the quotation and undertook all work to an excellent standard in line with budget and in the timeframe required to enable letting. Following completion, the property was presented in clean and tidy order and new tenants were secured shortly thereafter." "Awesome job done by Rob at Chase Meadow Community Centre. Conducted the work with utmost professionalism and worked around our users without any issues whatsoever. Thanks Rob-fab job, we've had lots of positive comments on the work!!" "Great job done for us - decorating at a new level for me who's used to the results of DIY!" "Rob Shaw has just completed an excellent job of repainting a large section of the original old barn wall which now separates our living room and boot room. It had been painted by the builders when they carried out the barn conversion and the tar or creosote had bled through. No one seemed to know how to deal with it. Rob identified the right materials to seal the painted surface and then matched the finishing paint colour to the walls, which has brightened the room considerably. What we like most about Rob’s work is that there is always a great finish and never any mess to clear up. Thank you Rob"